Looking at the first 40 seconds of Felix’s jump, in table 1 without air resistance, we can see that he builds up a pretty impressive velocity and quickly breaks the sound barrier. 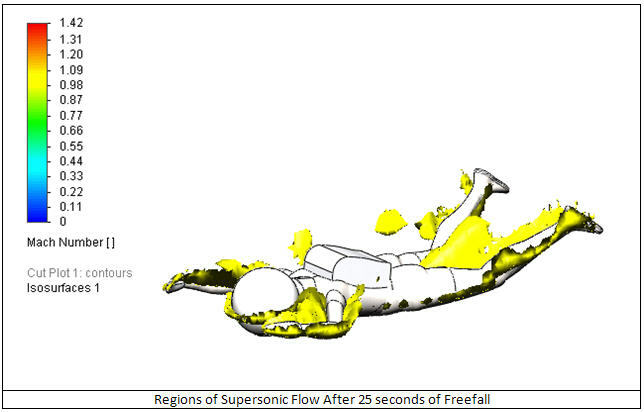 Now the speed of sound changes with altitude, but as the sky diver falls lower the air resistance increases. So what comes first the sound barrier or the sky diver's terminal velocity? Let’s take Jimmy from the beer can conundrum and slap on a pressure helmet and a parachute (yes I know he looks like Rocket Man from the 1950s but humor me please) and put him to the test. 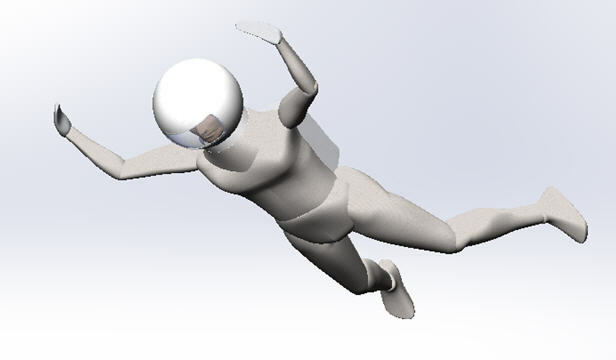 The drag experienced by Jimmy will be influenced by his position, so lets assume a normal stable belly down position (fig1). Once more I ask you to bear with me as I am not a skydiver, so the position may be a bit off. So Jimmy is still accelerating. 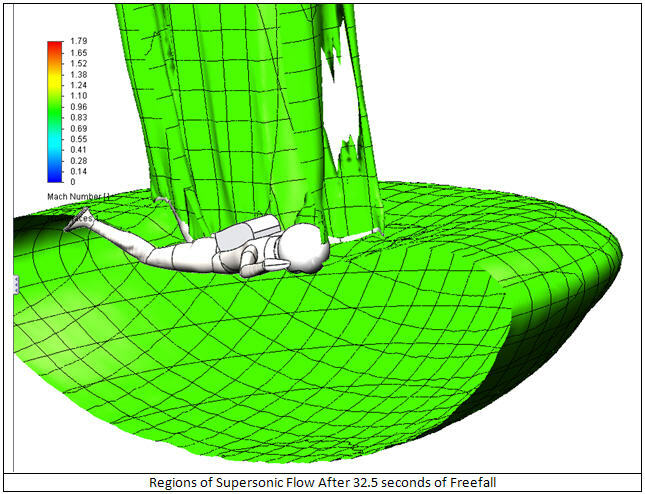 Now let’s look at Jimmy after 32.5 seconds of free fall when our simple calculation estimates that Jimmy would be going supersonic. 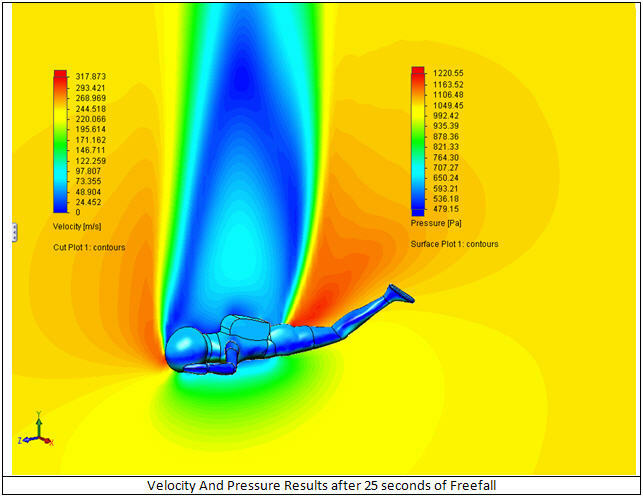 Ignoring the effects of drag on Jimmy’s freefall velocity predicts an ever increasing Mach number. But after three or so runs at different velocities and altitudes we have enough data to estimate the effect of the air resistance on the free fall velocity. 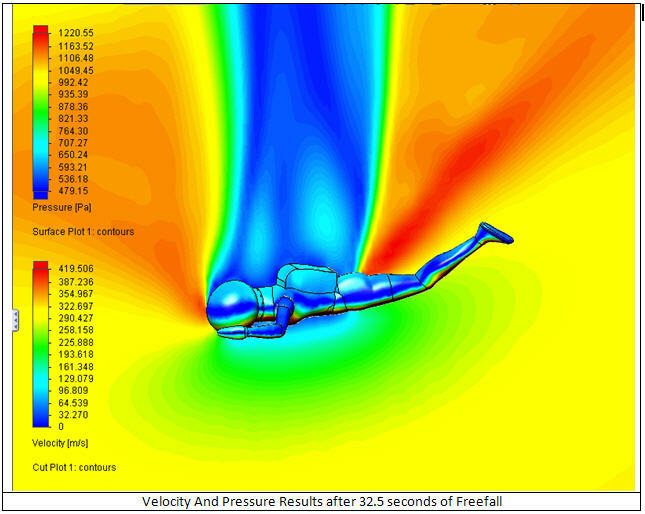 With the data from SolidWorks Flow Simulation we can predict that the estimated maximum velocity of Jimmy’s free fall stays below the speed of sound. Jimmy would be able to considerably increase his freefall velocity if he adopted a ‘head down’ position, but that calculation is for another day. 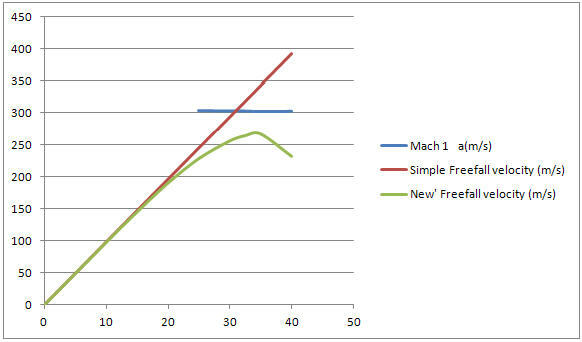 So the next time you decide to break a speed record check your physics first with SolidWorks Simulation.